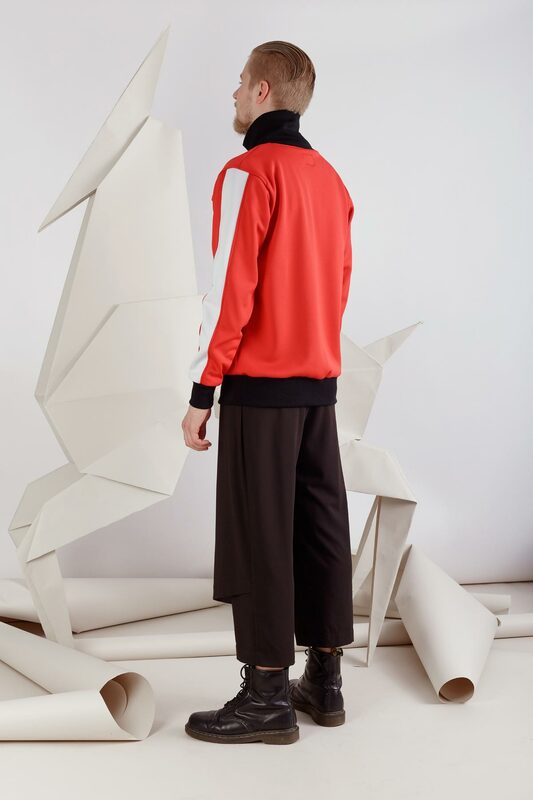 Unisex cropped wide trousers with double front detail and two belts. 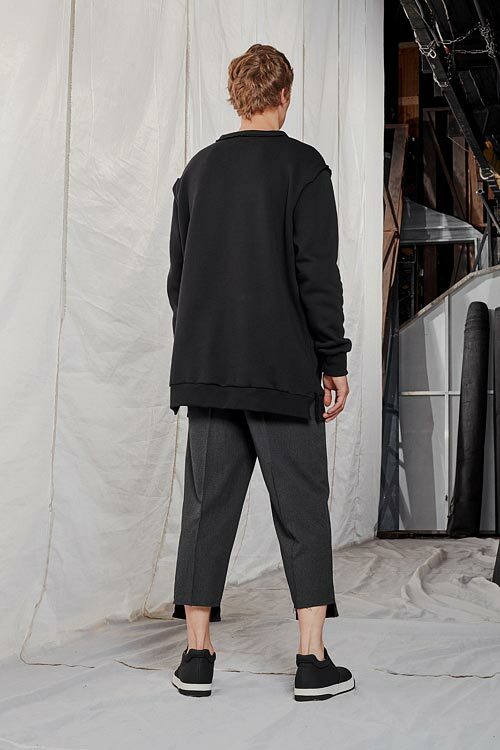 Trousers have one pocket and are fastened with a zipper in the middle. Elastic trousers fabric is very comfortable and easy to maintain. 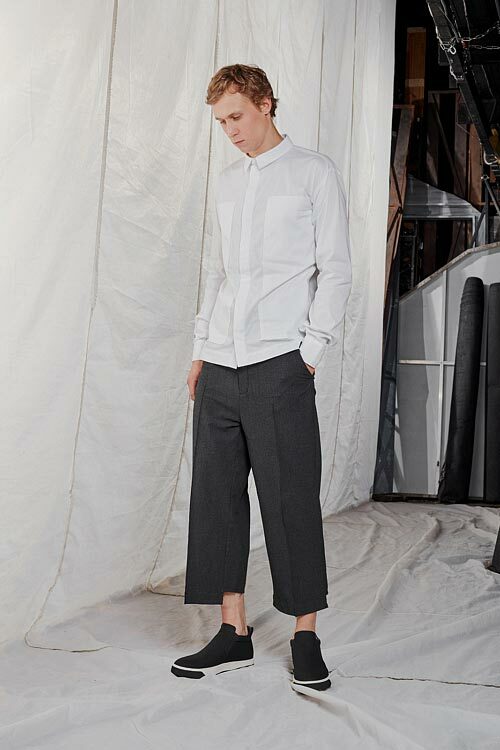 Short cut wide trousers fits with classical shirt or t-shirt to create more relaxed look.